From charming, small town festivals to big city theatre shows, the I-77 Region has an abundance of artistic and cultural activities for everyone to enjoy. City Roots is an in-town sustainable urban farm in the city of Columbia that grows fresh, organic food for the community. In addition, City Roots frequently hosts Farm to Table Dinners, which feature local chefs, musicians, farmers and artisans. Feast your eyes on delicious, exotic Greek food, authentic Greek dances and lively, non-stop music your ticket to a delightful, whirlwind tour of Greece. 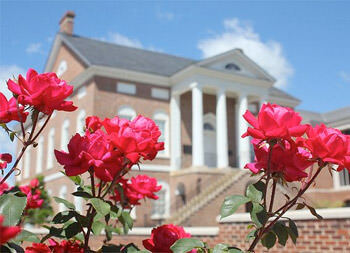 Sample music, arts, crafts and culture, direct from Greek artisans are all part of this event each year in Columbia. One of the most popular outdoor festivals is Rock Hill’s award-winning Come-See-Me Festival, where each spring families enjoy nearly 80 events and activities including live music and entertainment, a road race, frog-jumping contest and fireworks. The Flopeye Fish Festival, held annually on Memorial Day weekend, features a wide variety of food, entertainment and fun for the entire family, attracting the local community plus many visitors from around the Southeast. Born in 2007 by a far-flung artistic vision, Indie Grits Film Festival – an annual showcase of the best in Southern do-it-yourself (DIY) film and culture –was recently named one of the “20 Coolest Film Festivals in the World” by Moviemaker Magazine. Offering a unique atmosphere that blends the thrill of Times Square with a dose of southern hospitality, Famously Hot New Year is one of the South’s biggest New Year’s Eve parties which attracts tens of thousands from across the nation to Columbia’s revitalized city center. Ridgeway’s annual Pig on the Ridge features a Cookoff Street Dance, car show, craft vendors, children’s activities and a Barbeque Cookoff, where cook teams from all over the southeast compete for the “best BBQ” bragging rights. Lancaster’s annual signature event, the Red Rose Festival, features a diverse variety of live entertainment, arts and crafts, a dog show, tons of food vendors and more. For the children, there are countless things to enjoy, including lots of rides and games, “Kids Korner” activities, as well as the kick off for the Lancaster County District’s “I Love to Read” Program. Fairfield’s most popular annual festival, Rock Around the Clock features entertainers who “rock” around the oldest continuously running clock in the nation, built in 1833 and showcased in downtown Winnsboro. The Festival features a parade followed by a street dance and more. Annually, more than 40,000 people celebrate at The St. Patrick’s Day Festival in the eclectic Five Points business district in Columbia, SC. Continually growing, the festival includes a 10K and 5K Run, fun-filled parade, food and craft offerings, as well as four stages of over 20 musical acts. Soda City, an open-air street-fair farmers' market in the heart of Columbia, features produce, dairy, eggs, cheeses, meats and seafood, as well as the city's fines artists and artisans, and is open every Saturday morning from 9am-1pm, year-round rain-or-shine. The South Carolina Ag + Art Tour is a free, self-guided tour of farms and artisans in Chester, Fairfield, Lancaster and York counties. Being the largest free farm and art tour in the nation, visitors can see first-hand where their food comes from, dance to bluegrass and learn about rural life. Mouth-watering food, thrilling rides and exciting entertainment are all part of the Palmetto State's largest event. The annual SC State Fair in Columbia provides a fun, wholesome and entertaining carnival atmosphere where children and adults of all ages can enjoy. Drawing more than 60,000 people to Fort Mill, visitors to the annual SC Strawberry Festival enjoy live entertainment, a Kids Zone, antique car show, and a golf tournament, and of course delight in the sweet taste of homegrown, sun-kissed strawberries. With an impressive collection and nationally renowned exhibitions, the Bechtler Museum of Modern Art is a jewel of a museum, as it is intimate in scale, delightfully arresting in its spaces and vistas and simple and elegant in its materials. The South's largest children's museum is home to Eddie, the world's largest child, along with 300 exhibits to inspire children to experience the joy of learning. Where else but EdVenture can children talk to a skeleton, drive a real fire truck, anchor the news or visit another country. Featuring a varied collection of artifacts, the Chester County Historical Society Museum is housed in the 1914 Chester County Jail and houses a collection of Catawba Pottery and one of the largest and finest Native American Projectile Point collections in the Southeastern USA. The Mint Museum is a leading, innovative museum of international art and design dedicated to sharing art and design from around the world through their two locations: Mint Museum Uptown and Mint Museum Randolph. The Columbia Museum of Art is South Carolina's premier international art museum with extraordinary collections of European and American fine and decorative art that span centuries. Founded in 1950, the museum’s sleek and airy, light-filled space features 25 galleries. The NASCAR Hall of Fame is an interactive entertainment attraction honoring the history and heritage of NASCAR. This high-tech venue features hands-on exhibits, a 278-person state-of-the-art theater, Hall of Honor, NASCAR Hall of Fame Gear Shop and much more. The Culture & Heritage Museums is a family of museums for all interests of residents in York County, SC, which includes Historic Brattonsville, the McCelvey Center, the Museum of York County and the Main Street Children's Museum in Old Town Rock Hill. The SC Railroad Museum, located minutes off I-77, is the biggest attraction in Fairfield County. Since 1973, the museum has been collecting various types of freight and passenger cars as well as cabooses, freight cars, and diesel engines from CSX and Norfolk Southern. Discovery Place provides STEM education to the Carolinas through Discovery Place Science, Discovery Place Nature and Discovery Place Kids where the facilities features exhibits on anatomy, physics, natural science, machines, and much more. South Carolina's largest museum, the SC State Museum features extensive exhibits in art, science and technology, cultural history and natural history, plus houses a 55-foot digital dome planetarium with a 145-seat theater for both educational and entertaining programs. The Arts Council of York County promotes the arts in York County, including the York County Ballet as well as the Community Performance Center, which seats more than 150 people and offers dance, theater, and music performances throughout the year. Blumenthal Performing Arts hosts premier performing arts events in Charlotte and the Carolinas, as it is home to the Charlotte Symphony, Community School of the Arts, Charlotte Ballet, On Q Productions, Opera Carolina, Studio 345 and Caroline Calouche & Company. 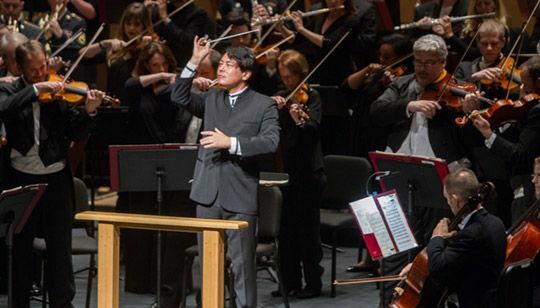 The South Carolina Philharmonic, under the director of Music Director Morihiko Nakahara, entertains, educates, enriches, and excites diverse audiences through live symphonic music. It has performed high-quality, professional symphonic music to meet the community’s needs for cultural development, education, entertainment, and tourism since 1964. 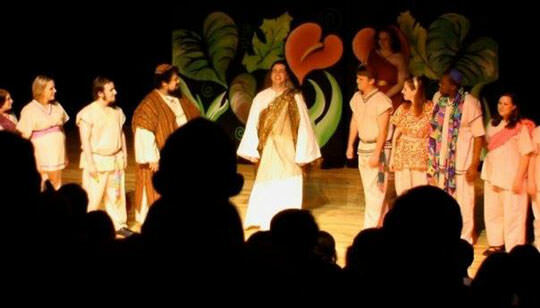 Narroway in Fort Mill has been called “The Broadway of Christian Entertainment” where its dinner shows include original scripts, live animals, and inspiring music. The 6,100-seat Winthrop Coliseum hosts a wide range of events, including concerts and athletic competitions. Located in downtown Columbia and offering engaging, film-going experiences, the Nick’s programming is comprised of a mix of first run independent films, special curated series, and one-off screenings of films relevant to the community. Residents can enjoy local music and theater at venues at the Rock Hill Community Theater, where they host a wide variety of productions ranging from Christmas-themed musicals and Dr. Seuss plays for children to serious dramas and comedies for adults to enjoy. Celebrating more than 45 seasons, the Community Playhouse of Lancaster County is a real community theatre, where locals can not only attend a wide array of productions but can participate in theatrical arts through diverse programming, including productions, camps, workshops and more.